Think of each builder section as a layer you add to a page — like adding a layer to a hero sandwich! 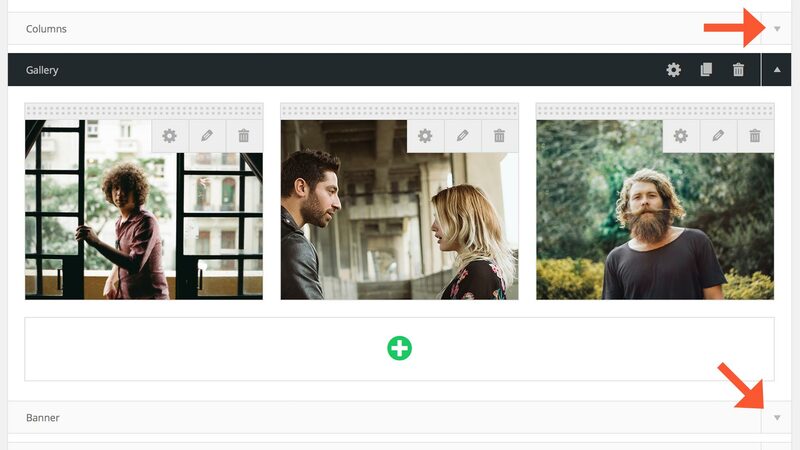 At the top of the page builder is a grid of icons representing each available section. Simply click on any section to add it to your page layout. 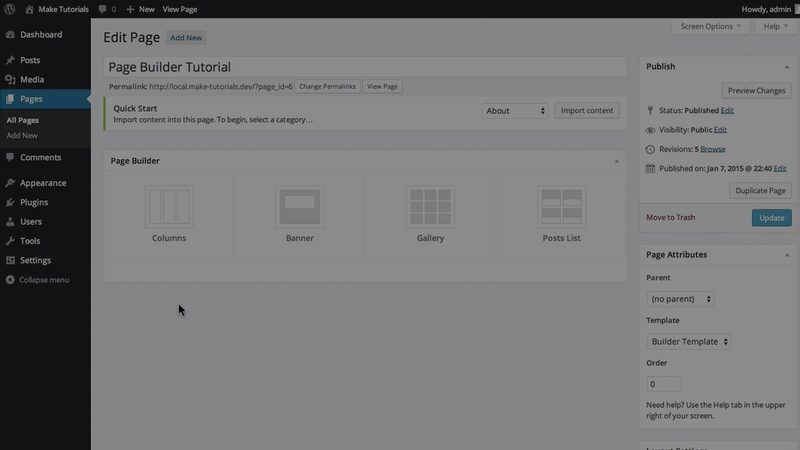 With Make Plus, you can duplicate an existing section and all of its content by clicking in the section’s header bar. You can collapse a section’s info panel, leaving only the header bar, by clicking the up/down arrow in the right corner of the header bar. This can be useful for getting a bird’s eye view of your page when you have lots of sections. Expand the section by clicking the arrow in the header bar again. Sections can be rearranged by simply dragging and dropping them into the order you want. Click and hold on the black header bar of a section and drag it to a new position. A box with a dashed border indicates where the section will be when you release the mouse. You can remove a section by clicking in the section’s header bar. You will be asked to confirm before the section is deleted. Be careful using this button, as this action cannot be undone. Sections and any information you have entered into them will not be saved until you save a draft, publish, or update the page. To avoid disaster 💥, save early and save often!